If you are an Industrial Business Owner, Industrial Business Developer or a future Industrial Entrepreneur this Industrial Talk Podcast is for you! 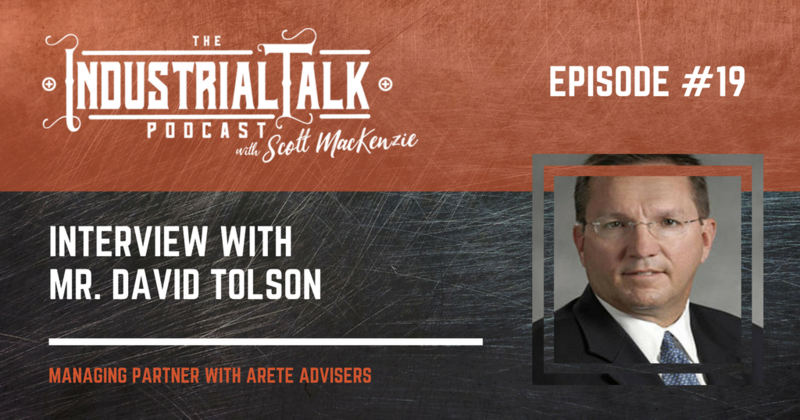 Mr. David Tolson, Managing Partner with Arete Advisors talks about the 3-Main Points of Financial Focus with any industrial business. Understanding these 3-points will set a Strong financial and operational foundation for success! – Enjoy!